The U.S. government’s turn to a growing fleet of armed drones has spurred an intense political and legal debate in Europe. However, European countries have not objected to the ongoing U.S. practice of drone strikes outside official war zones and are therefore in danger of following the U.S. in setting expansive legal precedents for drone strikes against non-state actors. While opinion polls indicate that the majority of Americans support the use of lethal strikes for counterterrorism purposes, including those against American citizens abroad who were found aligned with jihadists groups, public opinion in Europe is far less supportive. From the beginning, European allies were critical of the U.S.’ “global war on terror” declared against al Qaeda after 9/11, and warned that the U.S. wars in the Middle East exaggerated the role of military force in responding to terrorism. Confronted with a persistent threat from ISIS and other jihadist groups, various European countries have joined military operations in Iraq, Syria, and the Sahel zone. What is more, European allies have not only paid substantial support to U.S. drone strike operations around the globe; they have also been acquiring lethal drone technologies themselves. The rise of drone strikes as a counterterrorism tool is therefore embedded in a broader military trend assuming that drone warfare makes it easier and cheaper to conduct counterterrorism operations, thus reducing casualty risk for U.S. and allied troops. As a result, the United Kingdom and France have developed their own drone strike policy positions. In Germany, the Bundestag has just approved the procurement of five Israeli Heron TP drones for the Bundeswehr. And France and Germany together are leading the EU efforts in developing a substitute for the U.S. military MQ-9 Reaper drone. The rise of drone strikes as a counterterrorism tool is embedded in a broader military trend assuming that drone warfare makes it easier and cheaper to conduct counterterrorism operations. Nonetheless, there is no unified position within the transatlantic community on the “appropriate” use of armed drones in counterterrorism operations. The absence of such a joint framework in conducting drone strikes can be seen as a failure, missing the opportunity to help shape global standards. The European Union has pursued these discussions through its efforts to establish a common position on the use of armed drones. For example, the European Parliament adopted the largely symbolic resolution (2014/2567(RSP)) in 2014 that criticized the U.S. policy of targeted killings and the underlying ambiguities in the interpretation of international law and proposed policy and legal guideline for drone strikes of EU member states. Moreover, the Special Investigator for the United Nations Human Rights Council, Ben Emmerson, stated in February 2014 that the use of armed drones should be subject to clear policy frameworks ensuring the greatest extent of transparency and full compliance with international human rights law. Against this background, this article discusses lessons drawn from the drone strike policy in the U.S., UK, France, and Germany and proposes policy guidelines on how the NATO member states, namely the U.S., UK, France, and Germany, could use armed drones based on the values constituted in the Washington Treaty of 1949 with its acknowledgement of democracy, individual liberty, and the rule of law. In his first two years in office, U.S. president Donald Trump reportedly escalated drone strikes outside official war zones and rolled back the guidelines put in place by the Obama administration—measures put into place to ensure a greater degree of transparency and accountability. According to New America, U.S. drone strikes in Pakistan, Yemen, and Somalia led to a minimum of 383 civilian casualties during the presidencies of George W. Bush, Barack Obama, and Donald Trump. Against this backdrop, ambiguity surrounding U.S. drone policy has contributed to persistent questions about the legality, efficacy, and legitimacy of drone strikes. To be sure, the politics of targeted killings were originally designed to target the al-Qaeda leadership and to diminish their capabilities to plan and conduct terror attacks. Whereas drone strikes do not violate international law per se, the policy is highly controversial in terms of basing its claim of legality on the right of self-defense and the nature of so-called signature strikes. Article 51 of the UN Charter enshrines the inherent right of states to individual or collective self-defense “if an armed attack occurs” against a member state. American presidents from George W. Bush to Donald Trump have interpreted the right of self-defense in an extensive manner to create cover for unilateral actions against non-state actors outside official war zones like Afghanistan, Syria, or Iraq. The U.S. position is that terror suspects can be targeted with lethal force because they are members of terror groups with which the U.S. is in a persistent state of armed conflict, even absent specific evidence where and when an attack will take place. As part of this view, the U.S. has stretched the meaning of the “imminence of a threat” posed by al-Qaeda, ISIS, and associated groups. Under this logic, the U.S. position is that terror suspects can be targeted with lethal force because they are members of terror groups with which the U.S. is in a persistent state of armed conflict, even absent specific evidence where and when an attack will take place. According to the “Drone Papers,” the U.S. military has a two-month window to hit a target that has been nominated as a “continuing imminent threat” by the National Security Council. Furthermore, many drone strike operations are classified as signature strikes. Apart from this legal framework, the U.S. government could simply start to define its own drone strike policy on the basis of the standard of the International Red Cross Committee (ICRC) for targeted killings that represents a compromise between the U.S. position and the more traditional law of war manual for interstate conflicts. According to these standards and considering the fact that the line between civilian and military functions in armed conflicts has been blurring and military interventions have increasingly moved away from distinct battlefields into civilian population centers, legitimate targets should only be individuals that have a “continuous combat function” on behalf of the party in an armed conflict. On the other side, civilians should be considered as persons who do not directly participate in hostilities at all or only do so on a sporadic basis. Legally speaking, all persons who are not members of the armed forces of a party to the conflict are entitled to protection against drone strikes, unless and for such time as they directly take part in hostilities against a state. This is a fundamental distinction from the U.S. standard and is important for any debate about accountability and transparency for targeted killings. For example, in the case of targeting the American citizen Anwar al-Aulaqi in 2011, the U.S. could have argued on the basis of international humanitarian law and al-Aulaqi’s conduct as an operational leader of AQAP instead of trying to satisfy the requirement of self-defense. As an operational leader, al-Aulaqi lost his protected status by directly participating in hostilities in a non-international armed conflict between Yemen and al-Qaeda in the Arabian Peninsula (AQAP). 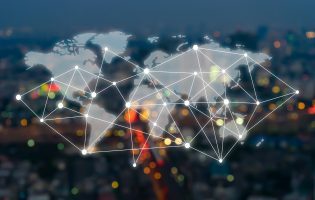 According to international humanitarian law, senior policymakers and operative commanders in the military have to check these criteria on a case-by-case basis and should provide unclassified access to individualized casualty data for the public. In addition, the U.S. government could limit targeted killings outside areas of active hostilities to strikes against so-called “high-value targets” that are nominated and added to a kill list by the military and CIA. The Obama administration’s Presidential Policy Guidance was designed in 2013 to add some constraints on drone strikes outside official war zones and to minimize harm to civilians by requiring a connection between the targeted person and an imminent threat, a near certainty of the presence of the suspected terrorist, and a determination by senior policymakers in the Defense Department and the CIA. Not only has the Trump administration erased these rules and delegated the authority to operational commanders, it has so far reverted to greater secrecy relating to the CIA’s involvement in theaters where the U.S. military has been the main party conducting drone strikes. Not only has the Trump administration erased these rules and delegated the authority to operational commanders, it has so far reverted to greater secrecy relating to the CIA’s involvement in theaters where the U.S. military has been the main party conducting drone strikes. As a result, strike decisions can be assumed to be less scrutinized in areas where the United States is not officially at war, which could potentially increase the risk of wrongful killings and mistakes. While Congress recently reacted to the Trump administration’s change in policy with the 2019 John S. McCain NDAA (Public Law 115-232), which includes two important provisions in sections 936 and 1062 related to the public release of civilian casualties resulting from U.S. military operations, there is still no reporting requirement for CIA drone strikes. Furthermore, there are almost no congressional debates on Trump’s drone strike policy. Even in the G.W. Bush and Obama eras, Congress failed to define guidelines for targeted killings outside active war zones. With respect to the U.S. drone strike program during the Trump administration, it is mostly up to Congress to require legal and policy frameworks, investigate controversial drone strikes, and provide transparency concerning the amount of funds appropriated for drone strikes and congressional notification processes. The British government has been using armed drones against ISIS in Syria and Iraq, conducting a total of 400 strikes between 2014 and 2018. The case of Reyaad Khan has been the most controversial one so far: Khan, a British national, was targeted and killed in Syria on August 21, 2015. This was the first time that the British government had targeted a UK national because of his outside participation in a military campaign. In September 2014, the British parliament voted overwhelmingly in favor of authorizing the use of force against ISIS in Iraq, but not in Syria. The government’s position was that the drone strike was undertaken in individual and collective self-defense because Khan posed a continuing imminent threat. An Intelligence and Security Committee of Parliament (ISC) report published in 2017 criticized the government’s lack of transparency with regard to the imminent threat assessment. However, it seems that the UK government followed the U.S. precedent in targeting its own citizens in Syria under the pretext of the right of self-defense, just as the Obama administration did in the case of al-Aulaqi in 2011. France is confronted with more gray zones in the Sahel zone as part of Operation Barkhane, where the military is directed to target and kill jihadists across the whole Sahel-Sahara strip from Burkina Faso to Chad. In the case of the French armed drone policy, the French government has managed to avoid the scrutiny and criticism the U.S. receives and has not officially released a legal and policy framework on the use of armed drones. The French government is conducting drone strikes in the Sahel zone and against ISIS in Syria and in Iraq as part of the Global Coalition to Defeat ISIS. With a limited number of armed drones, the French government has not displayed a capability and capacity to follow the American or British precedent. But France is confronted with more gray zones in the Sahel zone as part of Operation Barkhane, where the military is directed to target and kill jihadists across the whole Sahel-Sahara strip from Burkina Faso to Chad. This has also received attention from the African Commission on Human and People’s Rights, which in a report explicitly called upon the government of Niger to notify France about the legal standards that apply to drone strikes regarding the country’s territory. In practice, the report denied African governments the authority to give foreign nations a blank check on drone strikes. Yet, contrary to the U.S. and the UK, France does not seem to share this interpretation of “self-defense” and limits the armed conflict against ISIS to specific areas in Iraq and Syria, as Jean-Baptiste Jeangène Vilmer, director of the Institute for Strategic Studies in Paris, argued in a report. So far, the UK and France have executed targeted killings on the basis of secret killing lists when responding to the resurgence of terrorist activities in Libya after 2011. The policy challenges for the two drone programs relate to the continuing secrecy around the respective legal foundations as well as to the number of strikes carried out and casualties inflicted. While the UK is following the U.S. position in justifying drone strikes outside of active combat zones, there is scarce information available on the principles, rules, or potential regulations that might form the basis of and guide French practices in this field, although France and the UK risk being entangled in increased military campaigns against terrorist networks in Africa. This is already the case in Niger, where France alongside the U.S. has been targeting jihadist fighters. In Germany, there is a broad consensus among policymakers that drones will not be used for targeted killing operations outside official war zones. Despite some fierce public critique in the past, the silence of German senior policymakers with regard to U.S. military installations in Germany used for the conduct of drone strikes in North Africa and the Middle East hints at a delicate strategic and legal balance between constitutional obligations and strategic security interests. By remaining silent, the German government may be complicit in U.S. drone strikes to which the country is providing intelligence and other support. Furthermore, it might shy away from condemning the U.S. as a NATO ally or might simply follow the U.S. interpretations of international humanitarian law. By remaining silent, the German government may be complicit in U.S. drone strikes to which the country is providing intelligence and other support. Nevertheless, in their coalition agreement of 2018, the three ruling German parties (CDU/CSU and SPD) included sections implying opposition to “extrajudicial killings” with armed drones. To date, the question as to which drone strikes constitute a violation of international law from the perspective of the German government still lacks a clear answer. Furthermore, a legal framework guiding German drone strike policy is missing so far. Drone strikes can be seen as violating Article 26 of the 1949 German basic law (Grundgesetz) that prohibits the planning of an offensive war (Angriffskrieg). As a consequence, a strong anti-drone movement, consisting mainly of peace organizations, has been calling for the ban of (armed) drones ever since drone strikes were expanded during the Obama presidency. In its latest White Paper published in 2016, the German government defined international terrorism as one of the greatest national security threats and therefore called for a reform of the constitutional framework governing the use of military force in cases of collective security. German policymakers have shown a sort of legal flexibility in supporting military interventions in the past years. Even though the political consensus and the constitutional obligations still limit the use of force in a foreign country to a strict multilateral framework, German policymakers have shown a sort of legal flexibility in supporting military interventions in the past years. For example, the approval of military support for the U.S.-led coalition of the willing against ISIS in Syria and Iraq by the Bundestag in November 2015 (Drucksache 19/1300) demonstrated that a majority of German lawmakers did not second-guess the absence of a UN Security Council resolution or of a NATO-led framework, even though these represent two key conditions for the use of force according to Article 24, Section 2 of the German Grundgesetz. When it comes to the U.S. drone program and the role of U.S. military installations in Germany, the picture is widely ambivalent. Despite the official statement of the Federal Foreign Office in December 2016 that Ramstein Air Base is not only a crucial communications hub, but also serves wider purposes, including planning, conducting surveillance, and assessing drone strikes, the German government seems to stick to its “don’t ask, don’t tell” policy to avoid the impression that Germany plays a greater role in U.S. drone strike operations. Indeed, several testimonies of former U.S. drone pilot Brandon Bryant given during the German NSA/BND parliamentary inquiry indicated that the German government was fully aware of the ways in which Ramstein Air Base was being used to support the U.S. drone program, thus leaving aside the question of compliance with international and German constitutional law. In October 2010, the German government faced strong domestic criticism on this topic for the first time after a U.S. drone strike killed Buenyamin Erdogan, a German citizen, in Pakistan amid claims that Germany had provided U.S. intelligence agencies with information about his movements. The German Federal Prosecutor investigated the case, but eventually did not press charges, arguing that Buenyamin Erdogan had engaged in active hostilities against the United States and its coalition partners and had therefore been a legitimate target. Given the broad nature of the concept of a stated “imminence of threat,” the approach adopted by the German government seems to be apparently inconsistent. After the parliamentary inquiry into U.S. drone strikes, the German government added a “disclaimer” to all intelligence it shares with the U.S. prohibiting the use of such data for drone strikes. At the same time this policy leaves open a loophole insofar as the “use for the purpose of lethal force [of such data] is only permitted in case of an ongoing or imminent attack.” Given the broad nature of the concept of a stated “imminence of threat,” the approach adopted by the German government seems to be apparently inconsistent. This inconsistency corresponds with diametrically opposed party positions in the German Bundestag, where the Green and the Left party are still calling U.S. drone strikes a violation of international law on German soil per se, whereas the Christian and the Social Democrats mainly shy away from criticizing the U.S. and other NATO partners. Against this background, there will not be an officially stated German drone strike program in the foreseeable future. However, it would be politically wise to propose international and domestic standards for a more balanced alternative to the U.S., UK, and France approaches in light of restrictions mandated by the German constitution. In line with the Grundgesetz, the use of armed drones would need approval by a majority of the members of the Bundestag as the German Constitutional Court (Bundesverfassungsgericht) pointed out in its “out of area” ruling in 1994. According to the Court, the parliamentary veto power is not open to political integration into multinational-led forces. In recent years, however, mostly conservative lawmakers have asked to relax the approval requirement for integrated NATO and EU units. With the evolution of remote-controlled weapon systems and the debates on the creation of a European army, it should be a salient task for lawmakers across the party spectrum to assert their parliamentary veto powers as the most important tool to scrutinize the use of armed drones. 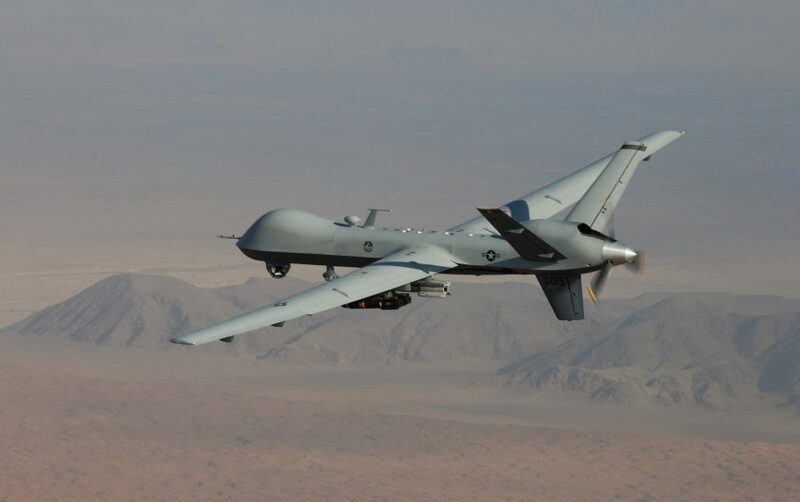 On March 19, 2019, the Higher Court of the German state of North Rhine-Westphalia finds large parts of the U.S. system of drone operations “likely” in violation of international law. As a matter of law, the Court requires Germany to seek, if necessary, a more critical role toward the U.S. with regard to the use of military operations involving German territory. This could put further stress on the federal government’s silence on U.S. drone strikes and on the relationship between Germany and the U.S. While the U.S. made a step backward under the Trump administration in terms of the transparency and accountability of its drone strikes outside official war zones, European allies should break their silence and define and explain publicly their policies, principles, standards, and procedures on the use of armed drones. Finally, there are two important policy implications for the use of armed drones that the U.S. and Europe should consider: First, there is an ICRC approach to targeted killing operations outside official war zones as an alternative to the broad U.S. and UK rational. Second, while the U.S. made a step backward under the Trump administration in terms of the transparency and accountability of its drone strikes outside official war zones, European allies should break their silence and define and explain publicly their policies, principles, standards, and procedures on the use of armed drones. The Joint Declaration for the Export and Subsequent Use of Armed or Strike-Enabled UAVs, signed by 53 states including the U.S., UK, and Germany acknowledges that drone strikes are subject to international law. This first step toward establishing international standards can also serve as a trigger for discussions within NATO pertaining to the policy and practice of lethal drone strikes. From a normative perspective, setting a coherent and restrictive standard for the use of armed drones should be the goal of the U.S. and allied partners. As former U.S. president Barack Obama stated in 2013, “to say a military tactic is legal, or even effective, is not to say it is wise or moral in every instance. 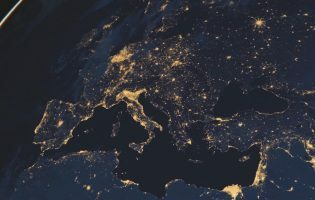 For the same human progress that gives us the technology to strike half a world away also demands the discipline to constrain that power—or risk abusing it.” This seems to be a crucial challenge for a legitimate allied approach in fighting international terrorism. I am grateful for the experience gained at the American-German Situation Room in November and December 2018. Participation at this truly valuable program allowed me to move into an office at the German Marshall Fund (GMF) in the heart of Washington, DC, and gave me access to the GMF and AICGS networks, and allowed me to engage in numerous meetings with exciting discussion partners. In particular, I would like to thank Jackson Janes, Jeff Rathke, Susanne Dieper, Nicola Lightner, Jessica Riester Hart, and Franka Ellman. I am also truly grateful to have worked in a most supportive academic environment in the Schar School of Policy and Government at George Mason University as a visiting research scholar and I would especially like to thank Mark J. Rozell and James P. Pfiffner. And finally, many thanks to Hakan Akbulut, Johannes Artz, Lukas D. Herr, and Jürgen Wilzewski on drafts of this essay. For the scholarly debate on U.S. drone strikes and transatlantic relations, see for example Jürgen Wilzewski, “Normative Herausforderung: Die transatlantische Sicherheits- und Wertegemeinschaft, präventive Inhaftierungen, gezielte Tötungen und der Kampf gegen den internationalen Terrorismus,” in Florian Böller, Steffen Hagemann, Anja Opitz and Jürgen Wilzewski (Ed. ), Die Zukunft der transatlantischen Gemeinschaft: Externe und interne Herausforderungen (Baden-Baden: Nomos, 2017), 213-238; Elisabeth Schweigler, “The Risks of Remaining Silent: International Law Formation and the EU Silence on Drone Killings,“ Global Affairs Vol. 1, No. 3 (2015), 269-275; Stephen Ceccoli and John Bing, „Taking the Lead? Transatlantic Attitudes towards Lethal Drone Strikes,” Journal for Transatlantic Studies, Vol 16, No. 3, 247-271. For the further academic discussion of congressional oversight on U.S. drone strikes, see for example Marcus Müller, “A Stain on Democracy? Guantanamo, Drone Strikes and US Foreign Policy after Obama,” German Journal for Politics, Economics and Culture of Middle East Vol 58, No. 2 (2017), 24-30; Florian Böller and Marcus Müller, “Unleashing the Watchdogs: Explaining Congressional Assertiveness in the Politics of Military Interventions,” European Political Science Review, Vol 10, No. 4, 637-66; Daniel Wheeler, “Congress and the War on Terror: Making Policy for the Long War” (Santa Barbara: Praeger); James Pfiffner, “Magna Charta and the Contemporary Presidency,” Presidential Studies Quarterly Vol. 48, No. 1 (2018), 153-167. Marcus Müller is an American-German Situation Room Fellow in November 2018. Marcus Müller is a Research Associate, Lecturer, and Doctoral Candidate at the University of Kaiserslautern, Germany. He is affiliated with the chair for International Relations and Foreign Policy (Prof. Dr. Jürgen Wilzewski) and his teaching and research focus on U.S. foreign policy, transatlantic relations, and parliamentary control of security policies. He is currently a Visiting Research Scholar at the Schar School of Policy and Government, George Mason University (VA), and sponsored by Professor Mark Rozell. 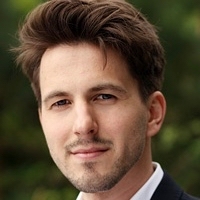 In his dissertation thesis “No Blank Check: U.S. Congress and Obama’s War on Terror,” Mr. Müller investigates the patterns of congressional oversight dynamics in U.S. counterterrorism policies; he is planning to finish the thesis by October 2019. He has published articles on U.S. counterterrorism, Congressional war powers, transatlantic intelligence reforms, and U.S. non-proliferation policies. In 2016, Mr. Müller was a Fulbright Scholar in the American Studies Institute at the San Francisco State University (CA). During his time at the American-German Situation Room in Washington, DC, Mr. Müller will research the current tensions in transatlantic relations and German-American security cooperation.